Four Roses Small Batch Select. Courtesy Four Roses. 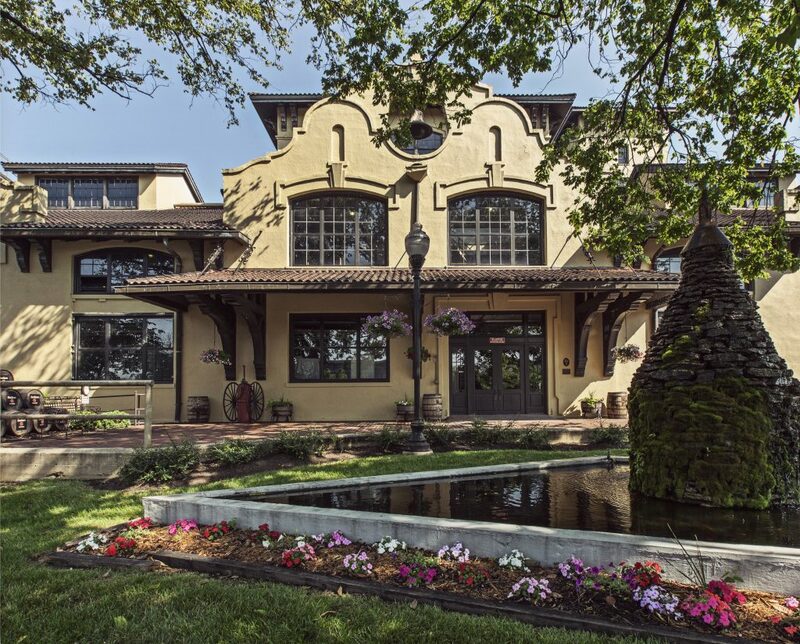 The reasons are piling up to visit Four Roses this week. Not only are they celebrating the completion of a $55 million expansion, they’ll be releasing the first ever bottles of their new Small Batch Select, which was created with some crowd favorite limited edition bottles in mind. Four Roses is known for their annual Limited Edition Small Batches, which showcase a number of the ten recipes they have on hand that might not be noticeable in year round releases. The distillery uses five proprietary yeast strains and two high rye mash bills to craft the ten recipes. Each yeast strain has its own distinct flavor profile—and a mingling of two in particular was what brought about the idea for the new release. “The combination of the F and the V yeast strain is the magic behind both the [Al Young 50th Anniversary] and the 130th Anniversary Small Batch. We really wanted to hit that flavor profile,” says Four Roses Master Distiller Brent Elliot of their new Small Batch Select. According to Four Roses, the “F” strain of yeast brings out herbal, minty qualities to the whiskey, while the “V” strain, bringing a delicate fruit flavor, adds a long finish and a great mouthfeel. Elliot sought to add a permanent offering that echoed these traits. His answer: Small Batch Select, a six to seven-year old blend of six of those ten recipes that features V, F, and K yeast, and is bottled at 104 proof with non-chill filtration. The permanent line currently consists of Four Roses Bourbon, a mingling of all ten recipes at 80 proof and 6 years old, Four Roses Small Batch, a blend of just four recipes at 90 proof and 7 years old, and Four Roses Single Barrel, just the Four Roses at 100 proof and 8 years old. The new bottle, lovingly referred to as the Fourth Rose by the distillery, is the brand’s first new year-round release in over a decade. “It’s been 12 years, so maybe it was overdue.” acknowledges Elliot. “We’ve been talking about it for a while but it was in the development phase… just where to position it in the family.” He also admits he’s been adding extra barrels distilled with “F” strain yeast to the production schedule, but had to wait for the inventory to come of age before he could assign it to a batch. The final blend of Four Roses Small Batch Select will include OESF, OBSF, OESK, OESV, OBSK, and OBSV recipes – and while the percentages of each will shift each year, they will tend heavy towards the 35 percent high rye B mash bill. Reading Four Roses recipes can seem confusing, but follow this link to see their simple charts. Four Roses Distillery in Lawrenceburg, Kentucky. Courtesy Four Roses. Bottles will be available at the distillery in Lawrenceburg as well as the bottling facility in Cox’s Creek beginning at 9 AM this Wednesday, April 17th. And they’re ready for the influx of visitors just in time – the distillery recently completed a four year, $55 million expansion project spanning both locations. The expansion was undertaken by the same Louisville architecture firm that first constructed the distillery back in 1910. The firm, Joseph & Joseph, counts the historic Spanish Mission-style complex as one of their first ever projects. Over a century later, they returned to help house the new still, fermenters, and more that the distillery needs to keep up with the current demand for bourbon whiskey. The $34 million Lawrenceburg distillery expansion doubled production from 4 to 8 million proof gallons, adding a new column and doubler still as well as eight new fermenters. The increase is expected to fill more than 130,000 barrels a year. The $21 million improvements at the Cox’s Creek bottling facility include two new bottling lines (one specifically for the now-allocated Four Roses Single barrel), office space, and a new single-rack warehouse, the first of several. Even with all the newly unveiled expansion, the distillery’s new Small Batch Select bottles will only hit limited markets at first. Bottles are expected to arrive on shelves in Kentucky, New York, Atlanta, California, and Texas next week, and will roll to other markets over the next year. Prices are expected to be in the $50-$60 range depending on location, placing it just above their Single Barrel.